On the 29th of November, SLT hosted the first iteration of the “ SLT Esports Lobby Challenge “. 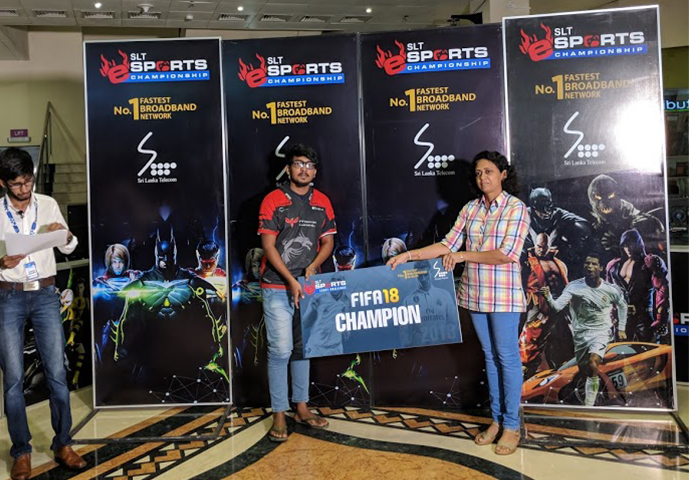 The first Esports event for the 4th quarter of the gaming year, the SLT Esports Lobby Challenge gave teams the chance to benchmark themselves before the main and final events for the year. 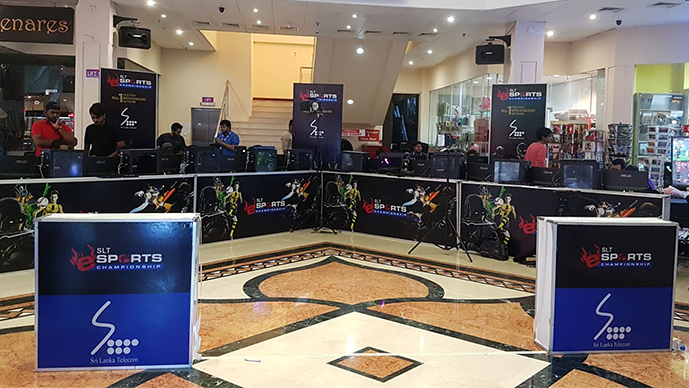 The SLT Esports Lobby Challenge featured 3 different gaming titles, DOTA 2, FIFA 18 and Clash Royale, with DOTA 2 being the only multiplayer battle arena event. 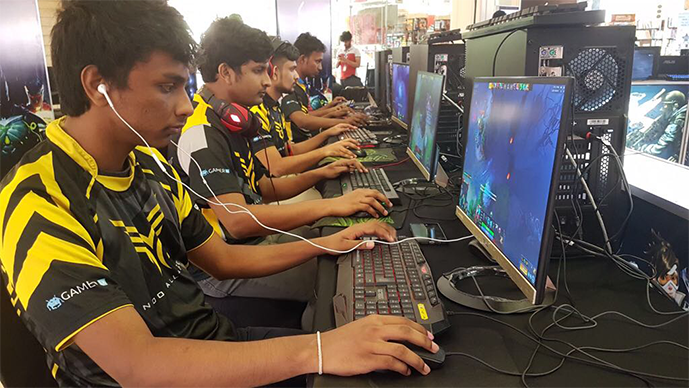 The DOTA 2 bracket was played in two formats, with an online qualifier and a LAN event from the semi-finals onwards. 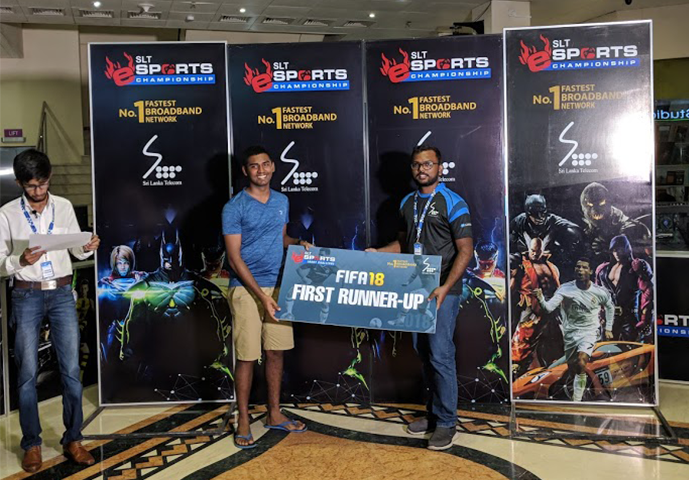 Clash Royale and FIFA 18 had multiple qualifiers before the final bracket. The only mobile title at the tournament, Clash Royale saw a small, but talented group of competitors for its final ranked bracket. 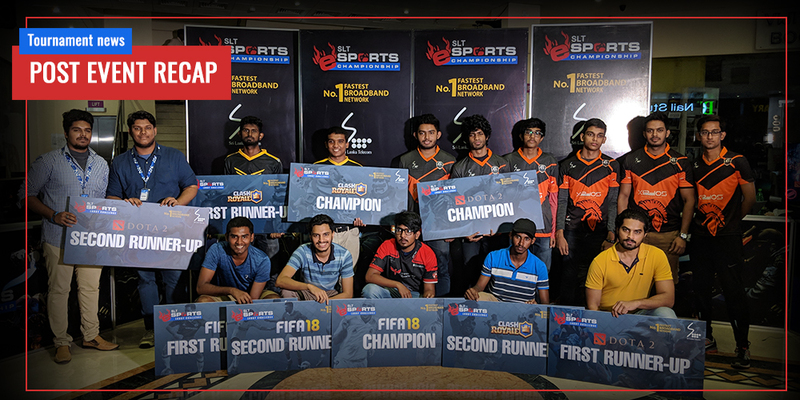 With 6 out of the 8 competitors split even between Phoenix GaminG and Noob Alliance, it was more of a question of which clan would walk away with the winnings. Heavily present in round 2, it was clear that the crown was likely to fall into nA’s lap, especially with the former titleholder, nA.Daniel competing. However, PnX-Parthifan and PnX-G4M3R_N4JEE8 weren’t out just yet. In a surprising upset, nA.Daniel suffered a crushing defeat against nA-Angmar. 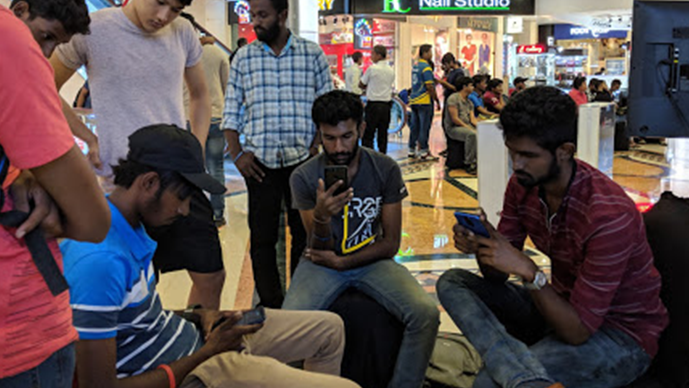 Playing two close games against nA-Loch and nA-rN’b respectively, PnX won one game and lost one, with PnX-Parthifan defeating nA-Loch 2 points to 1. 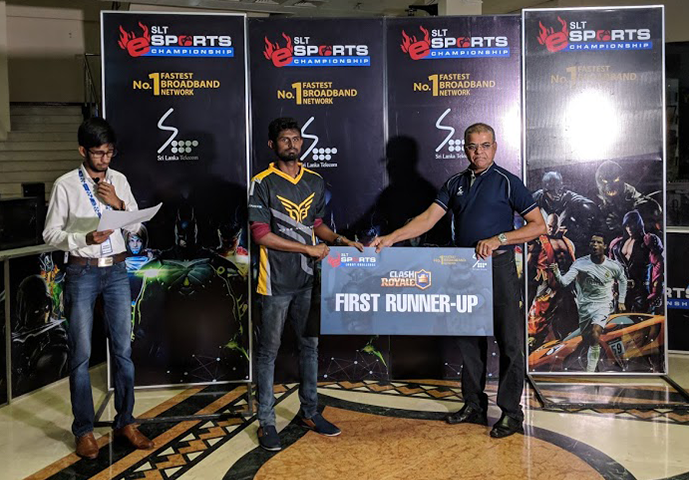 PnX’s hopes lied with PnX-Parthifan, with the 3 other semifinalists all from nA. While PnX-Parthifan put up a good fight, he was executed by nA-Angmar, 2 points to 0. 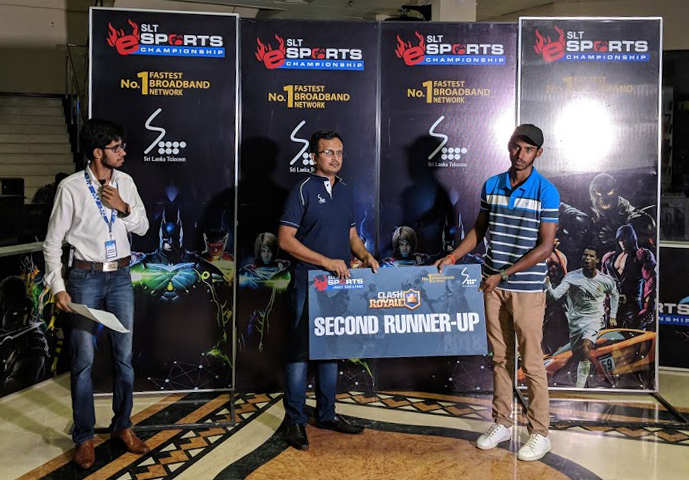 On the other side of the semifinals, nA-Hanif swiftly disposed his clanmate nA-rN’b 2 points to 0. 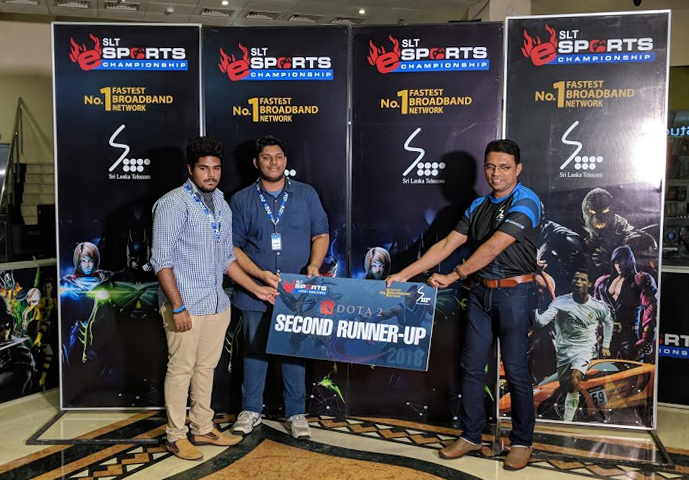 Knocked down to the bronze match, PnX-Parthifan outplayed nA-rN’b and won 3rd place, 2 points to 0. With both competitors from nA, the final match was theirs as predicted. Duking it out to a score of 3 points to 2, nA-Hanif pulled off a close win against nA-Angmar. 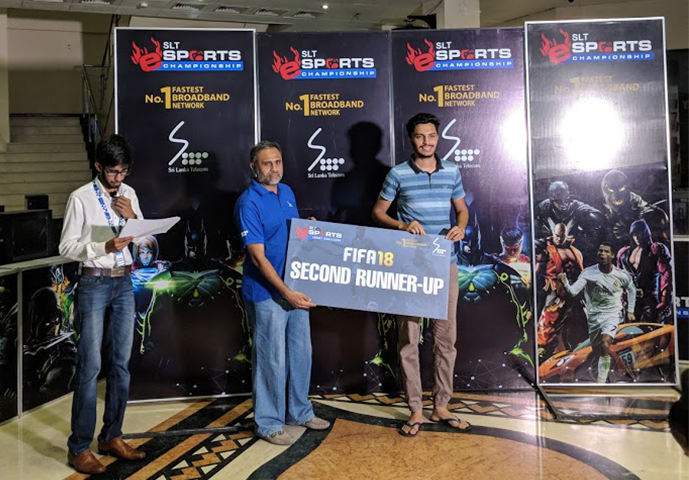 FIFA 2018 had the amusing draw at the SLT Esports Lobby Challenge, mainly due to the fact that roughly 50% of the competitors in the final bracket were from one single clan, Phoenix GaminG. Having the numbers advantage, Phoenix GaminG went on to dominate Round 1, with nA-VeNoM and M.eS-Pro being the only two players not from PnX to qualify for the second round. In an interesting turn of events, the duo faced off in Round 2 to play a close match, with nA-VeNoM winning 2 points to 1. With 3 competitors from PnX, the odds were stacked against the nA-VeNoM, facing off against PnX-Faz in the semifinals. 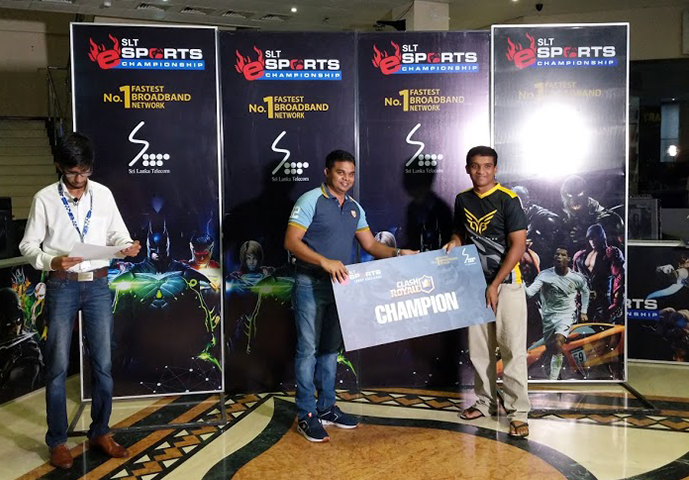 Winning by a landslide, PnX-Faz defeated nA-VeNoM 5 points to 1 and advanced to the finals against, PnX-Dishi – who defeated PnX-SHARPSHOOT3R 4 points to 2. Knocked down to the bronze match, nA-VeNoM went on to duke it out with PnX-SHARPSHOOT3R and lost against a score of 8 points to 4. With all 3 top places under their belt, the finals were in Phoenix GaminG’s hands. A nail-biter of a match, the finals played into PnX-Faz’s favor, defeating PnX-Dishi 1 to 0. The star title of the SLT Esports Lobby Challenge, DotA saw the most number of competitors. With 28 teams and 140 competitors, DotA 2 had a colossal display of hero picks, item builds and playstyles. After 20 matches and 2 rounds, round 3 was down to be played between 8 teams. Xiphos Esports, Division Esports, Noob Alliance, Phoenix GaminG and Tech Morph were the clans skillful enough to make it to the top 8. 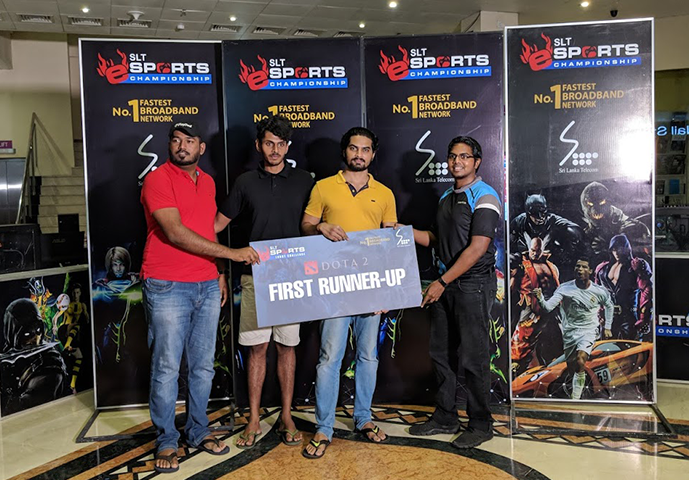 Playing tactfully and seizing every opportunity, x3-Victorious Secret, nA-team tempest, Div-Death Sentence, and nA-BedTime SamuraiS defeated their opponents and made it to the semifinals. With one Noob Alliance team per semifinal match, was the crown going to nA? The first match, nA-BedTime SamuraiS vs x3-Victorious Secret. started off clearly in nA’s favor, with the early game clearly in their favor. However, x3 managed to turtle through the early game. Unable to capitalize the advantage they had, nA got punished heavily in the mid to late game by x3 and lost. As for the second match, nA-team tempest vs Div-Death Sentence, the game started with Div punishing nA in the top lane – nA’s safe lane. Unable to secure the need farm and most importantly contain Div’s Alchemist, nA swiftly fell to Div. Matched up against each other in the bronze match, nA-BedTime SamuraiS played in their comfort zone running an Anti Mage against nA-team tempest. Unable to zone out the enemy safe lane or out farm them, nA-team tempest fell to the wrath of nA-BedTime SamuraiS ‘s heavily farmed Antimage. Matching up against each other, x3-Victorious Secret. and Div-Death Sentence were the last two teams left standing, a Best of 3 finals. Dominating the early and midgame marks, the game was easily within Div’s palm. Overconfident and complacent, Div dragged the game instead of going for the enemy’s ancient, making critical mistakes and giving x3 the opportunity to make a comeback into the game. Playing an impressive Invoker and Monkey King, x3-Victorious Secret. crushed Div-Death Sentence in the first game by capitalizing the late game. Learning from their mistakes and dominating the game just with their draft by playing a heavily farmed Phantom Assassin and Wraith King, Div-Death Sentence managed to crit their way to a swift victory and evened the score to 1 point to 1 against x3-Victorious Secret.. The tie-breaking and deciding game for the crown, game 3 was intense. Roaming lanes and not letting the enemy farm, the Tusk played by x3 zoned out the Div supports. In the mid lane, however, Div’s Viper was zoning out the x3 Tinker and delaying his boots of travel. As for the top lane, x3 shutdown Div’s Monkey King and starved him of farm. With an exchange of power In different lanes and matching up in terms of farm, both teams were neck and neck, but Div pretty much had the early game lead. But by making critical mistakes like not having a gem, not containing both the Tinker and Luna or not shutting down the Silencer who was stealing copious amounts of Int, Div gave x3 space and the opportunity to turtle on and make an easy comeback. 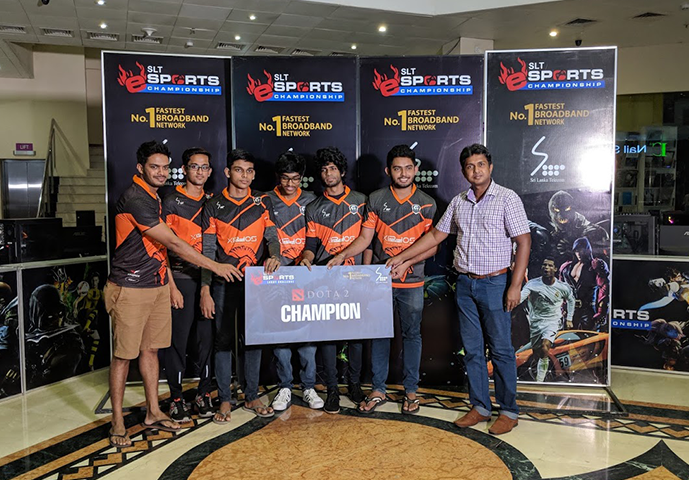 Making use of the space they were given, x3 was merciless, felling Div to their knees and taking the crown for DotA 2. With a wide range of talented clans taking part, the SLT Esports Lobby Challenge was just a taste of what’s to come for the major events for the year. Will the same teams who emerged triumphantly do it again? Or will other teams use the time they have left to study and outplay the champions?